Prime Minister Theresa May and European Commission President Jean-Claude Juncker presented a joint “progress report” on 8th December outlining the key areas of agreement. Focusing on the three priority issues – citizens’ rights, the Irish border and financial settlement – it paves the way for the EU27 to unlock the next phase of negotiations. 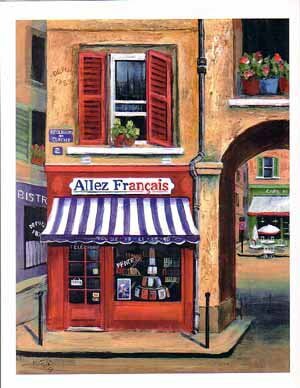 The key for UK nationals living abroad is that it preserves the rights of residence locally in EU countries. However, this only applies for existing residents before Brexit, so if you wish to remain but have not yet applied for residency, it is important that you do so to secure these rights. Where do we now stand with citizens’ rights and the other key Brexit issues given the latest agreement? Both sides have formally agreed to maintain existing rights for EU nationals settled in the UK and Britons in the EU. “Today, we bring back the certainty” said Juncker. For Britons resident in the EU today – or who gain residency before Brexit takes place – this means that your right to remain is guaranteed. This also extends to partners and direct family members, even after the Brexit date. You would, however, lose your permanent residency status after a period of five consecutive years abroad. Britain’s request for onward freedom of movement – enabling Britons to freely move between EU countries – has been deferred to the second round of talks. While the cut-off point to lock-in the right to remain is set for the date Britain leaves the EU on 29th March 2019, it is unclear if any transition period could extend this further. So if you are spending considerable time in an EU country such as Portugal, France, Spain, Cyprus or Malta and would like the freedom to continue doing so post-Brexit, consider taking steps to secure your residency now. Similarly, if you are thinking about relocating, now is the time to take action, before the rules change. Beyond Brexit, the precise requirements, length of time and expense required to acquire permanent residency are uncertain. While this is reassuring, you may prefer to secure peace of mind by lining up comprehensive private health insurance for your family. A previous sticking point was how citizens’ rights are enforced by law. As well as freedom of movement and residence, rights include access to healthcare, education and social security benefits, and also employment issues like working conditions. While the EU27 maintained that citizens’ rights must be protected outside national jurisdictions through the European Court of Justice (ECJ), Theresa May insisted on sovereignty for British courts. Mrs May still demands that EU citizens living in the UK have their rights “enshrined in UK law and enforced by British courts”. However, she has now agreed to allow an eight-year oversight role for the ECJ up to March 2027 where cases are unclear. This compromise was a significant factor in securing agreement with the EU27. For UK expatriates, it represents more scope to invoke British legal protection while living in the EU. Initially, Prime Minister Theresa May offered to pay around €20 billion up to 2020, falling short of the EU’s expectations. However, in late November, she agreed to fully honour Britain’s financial commitments – estimated at around €40-60 billion – to secure the go-ahead from the EU27. The Prime Minister has now presented a solution to satisfy the key players regarding this problematic issue. She promised no hard border between Northern Ireland and the Republic while confirming that the whole of the UK, including Northern Ireland, will leave the customs union. At the EU summit on 14th-15th December, the EU27 are expected to formally agree that “sufficient progress” has been made to trigger the next phase of Brexit talks. EU chief negotiator Michel Barnier indicated that next steps would be to discuss a transition period before tackling the future trade relationship. But there is still much to agree. If you are resident in the EU before Brexit, you and your family have the right to stay permanently and continuing accessing the healthcare benefits you do today. Your tax treatment should also stay the same and, as things stand, you can still transfer your UK pensions without penalties. However, you could benefit from reviewing your financial planning and exploring your options before any changes take place. 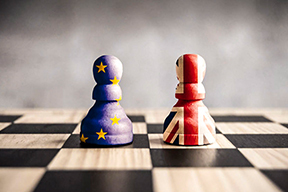 A locally-based adviser with cross-border expertise can help you secure financial peace of mind and prepare for Brexit developments that might affect you. This article has kindly be reproduced by courtesy of Blevins Franks. The points above are based on the Joint UK-EU Joint report from the negotiators of the European Union and the United Kingdom Government on progress during phase 1 of negotiations under Article 50 TEU on the United Kingdom’s orderly withdrawal from the European Union to be put to the meeting of the European Council (Article 50) of 14-15 December 2017. Blevins Franks accepts no liability for any loss resulting from any action or inaction or omission as a result of reading this information, which is general in nature and not specific to your circumstances. All advice received from any Blevins Franks firm is personalised and provided in writing. This document, however, should not be construed as providing any personalised taxation and / or investment advice. All information contained in this document is based on Blevins Franks’ understanding of legislation which may change in the future.